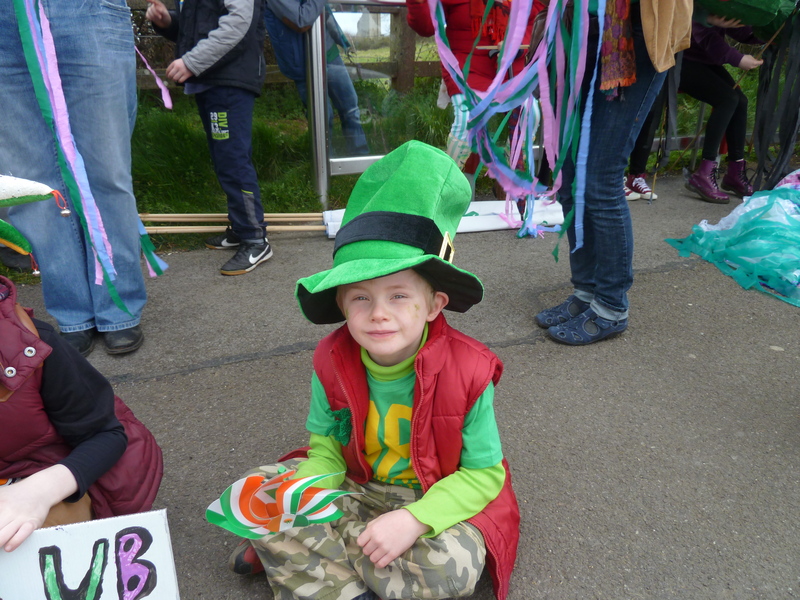 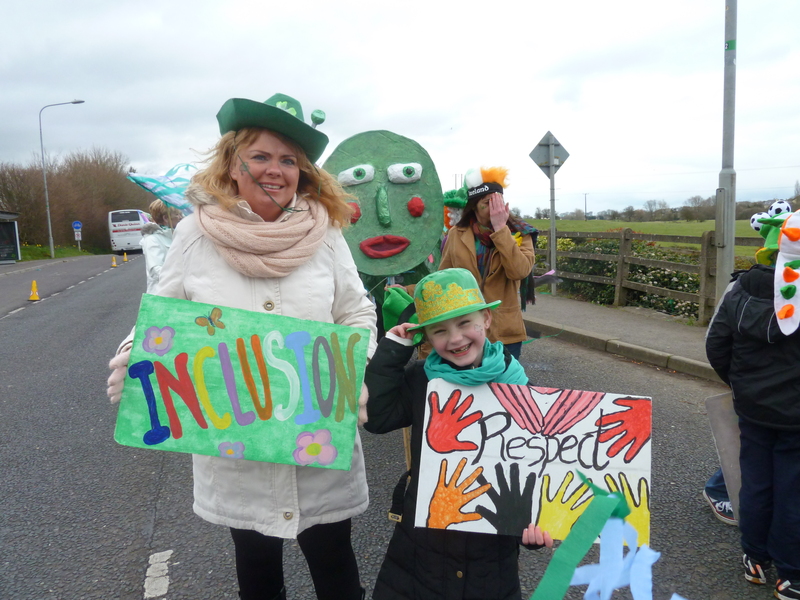 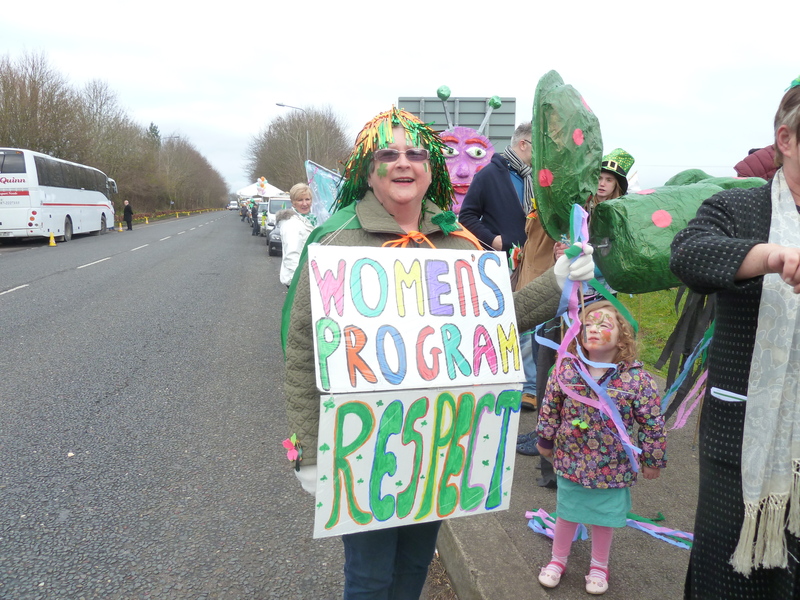 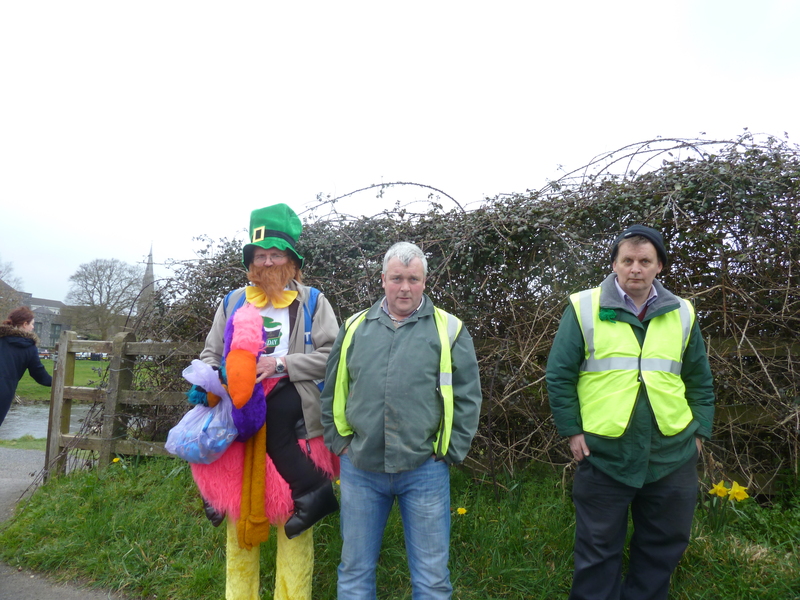 A huge congratulations to all our volunteers, groups and families who worked so hard to prepare for and take part in our entry for this year’s St. Patrick’s Day Parade. 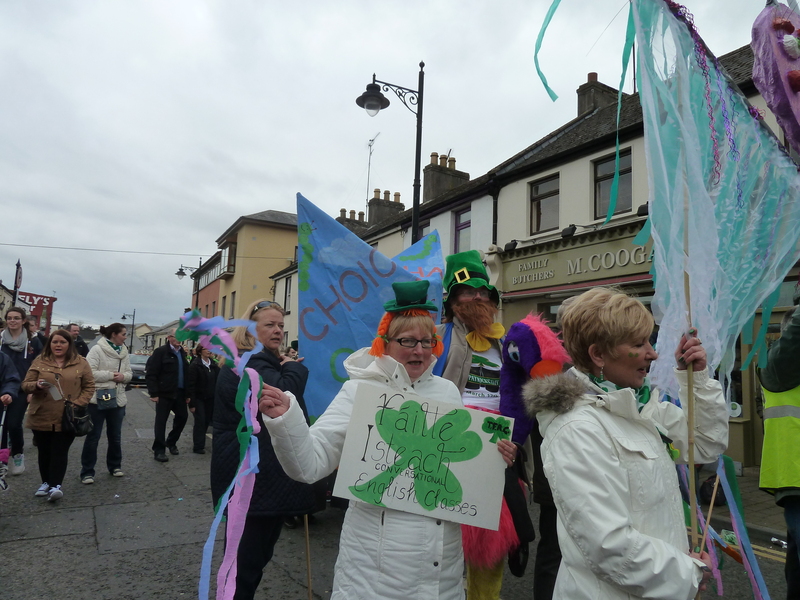 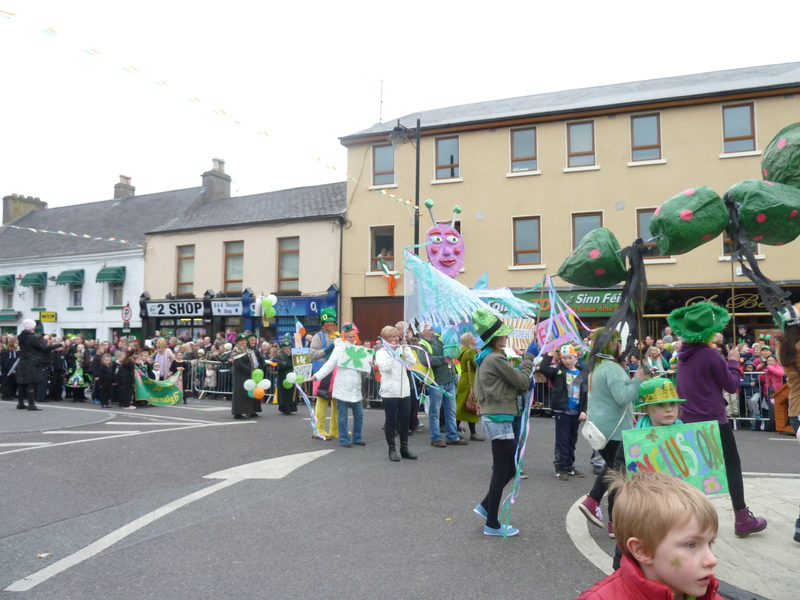 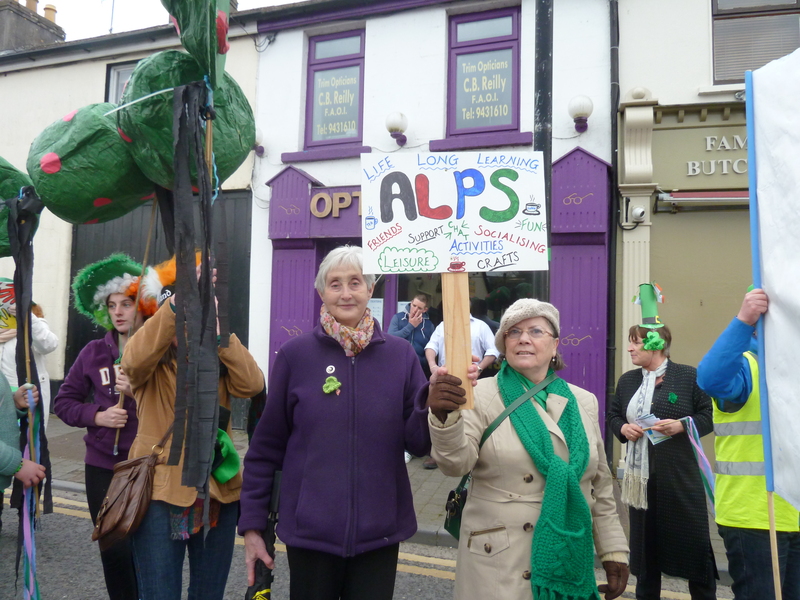 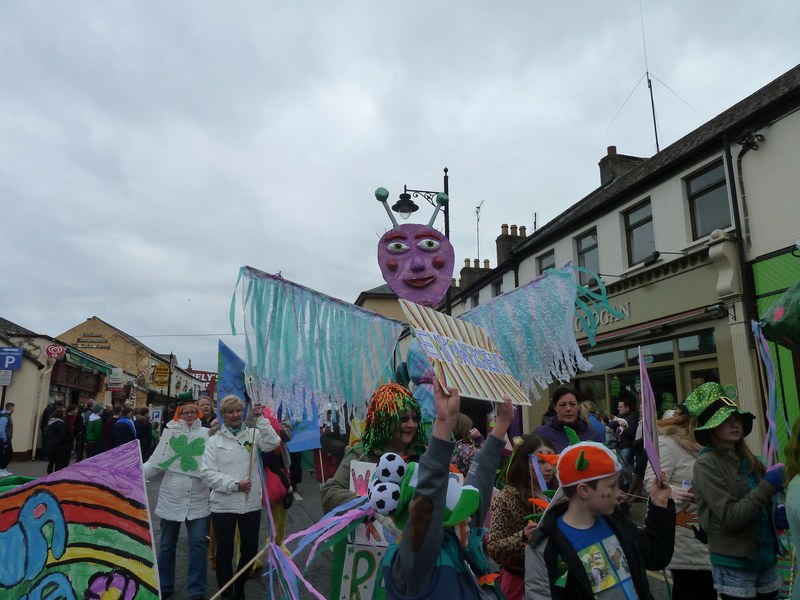 This was our first time to take part in the parade and we were delighted to receive the prize for Best Overall Group! 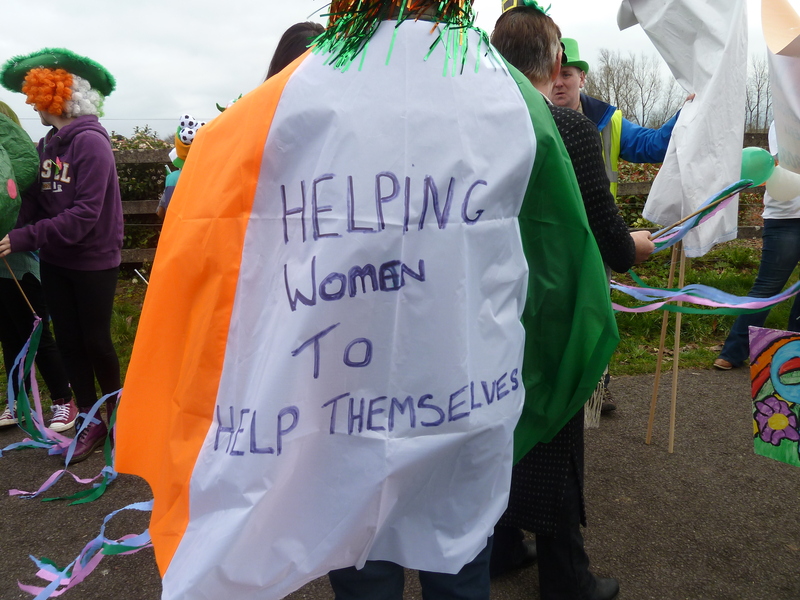 Thanks also go to Kay McCabe and Trim Men’s Shed for their input. 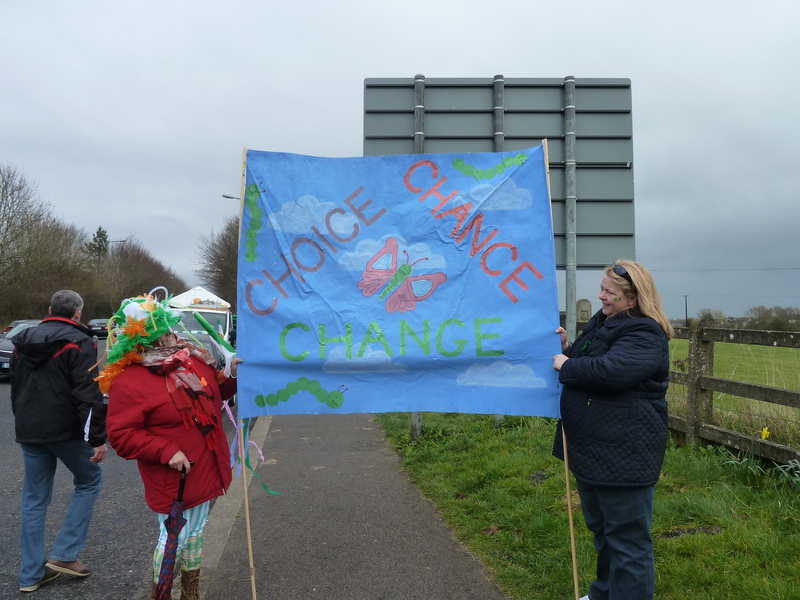 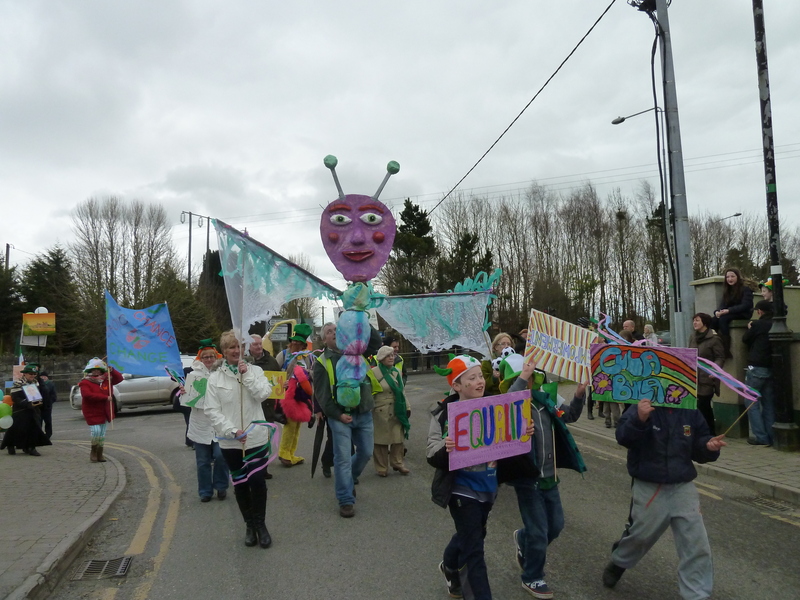 The colourful and fantastic puppets and banners being held by the groups are based around the theme of CHOICE – CHANCE – CHANGE, which reflects the experiences and opportunities of all the users at the centre. 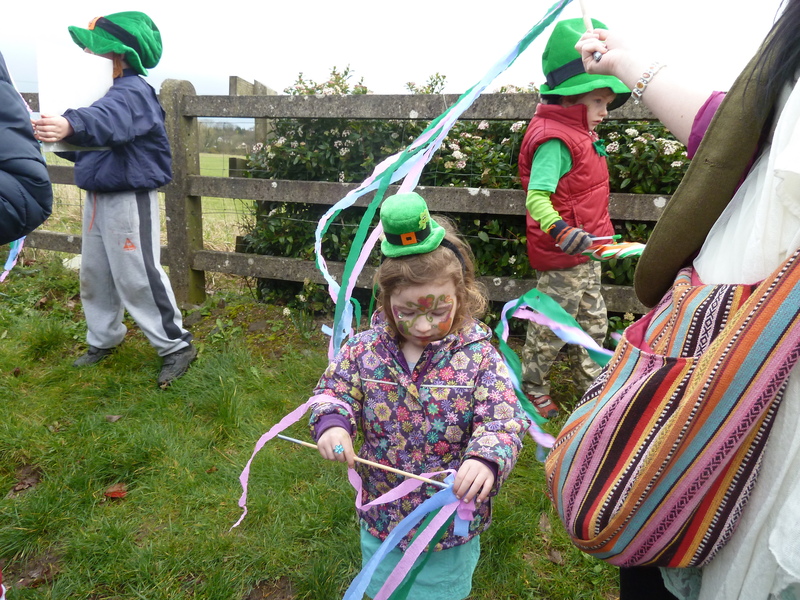 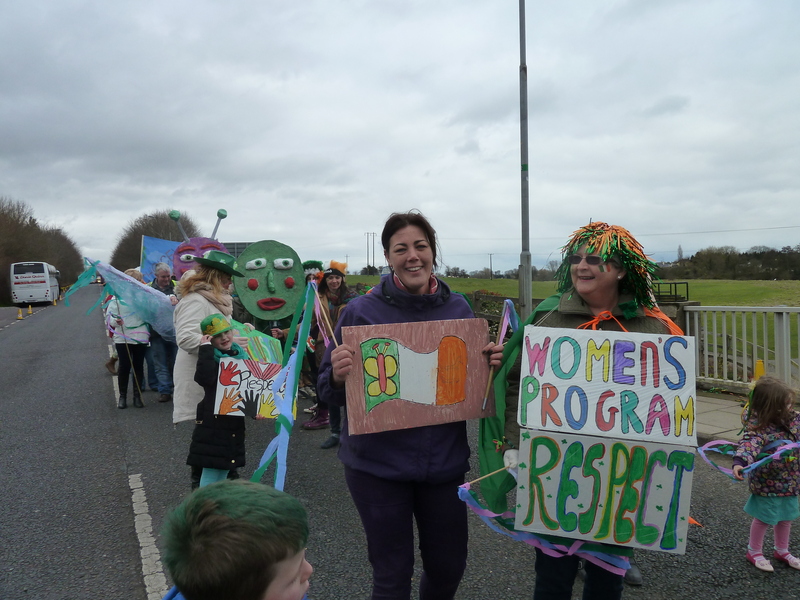 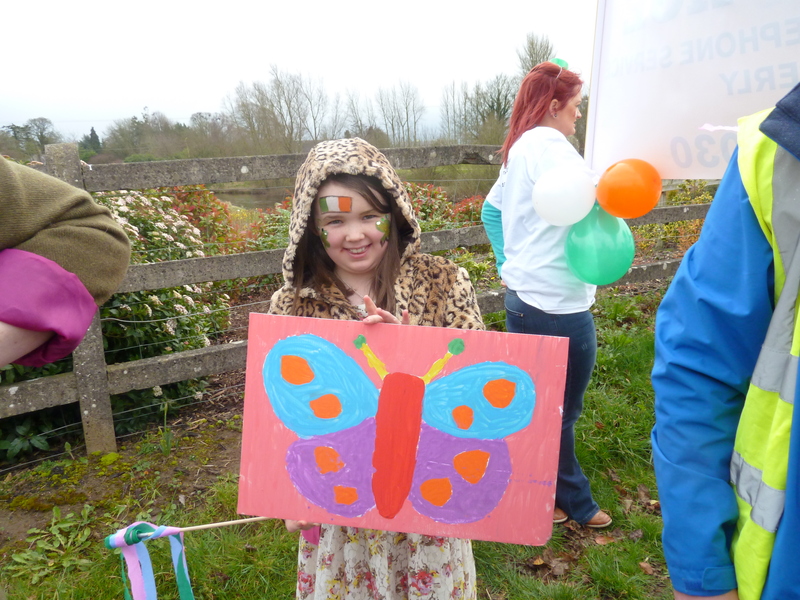 The caterpillar and the butterfly in particular reflect the change process that underpins the ethos and work of Trim Family Resource Centre.